Usually, the software for printers and multifunctional devices continuously refines after the launch. In many cases, some new functions are made available, processes are optimized or problems are solved. The update of the firmware closes any existing security gaps in a similar way as an update for computer or smartphone operating systems does. 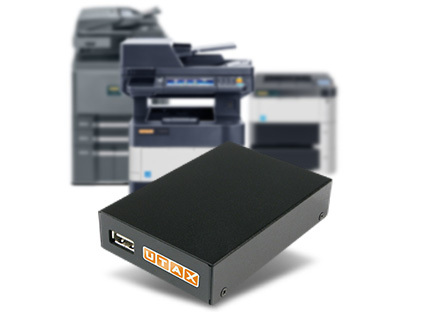 UTAX smart verifies whether the status of your UTAX printers and multifunctional devices is up-to-date by using AFM (Automatic Firmware Management). The needed updates are performed automatically. The web interface of UTAX smart enables an HTTPS-connection which is TLS-encrypted. Thus, it is guaranteed that no one else is able to read your data. 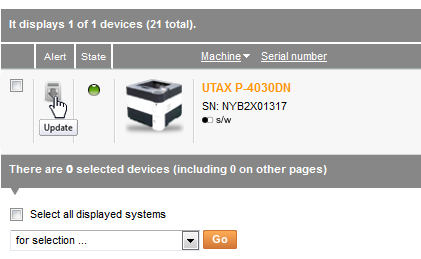 UTAX smart also supports the secure connection via SNMPv3 for communication between the appliance and printers/ multifunctional devices.